The Leader has today made his maiden posting. As a Welshman, I liked the spirit of what he said and whilst I have not yet come over to the idea of more Bank Holidays (everything has a cost), I do believe that if there is a prospect of something similar being rolled out in the Land of my Fathers then the same should happen here. Not a long agenda last night. The answers to the questions tabled (items 8 & 9) were very revealing. I proposed an amendment to agenda item 10. I agreed with the spirit but just wanted to iron this out to make sure we get something to be proud and that truly builds on the brilliant record of Cllrs Morgan-Watts & Barwood. Very to be watching BBC News 24 when the news of the death of Gwyneth Dunwoody MP was announced. Genuinely one of a number of Labour MPs whom I really like. Truly free-thinking, a brilliant Parliamentarian who would have made a great Speaker of the House! I will miss watching her Chair the Transport Select Committee. Certainly the type of Chair you would observe to see how it is done. She was not the type to let things get past her without sufficient probing. I have been made aware of the following news release from the Communities & Local Government. I am really pleased to see that the Government are going to look at this. Credit should go to the Labour MP, Alan Whitehead, for raising this in a Private Members Bill. Never have I known an issue where there is such a dichotomy between the concerns of residents and the response of Parliamentarians. I am at a loss to understand this as other Councillors in London, of all parties, share the concern that the massive growth has had, both in terms of the decrease in the supply of family housing and in terms of Community Cohesion. HMOs, of course, have a huge part to play in providing access to housing for many people, especially those who are of lower incomes or are key workers. But we have got to get the balance right. Please note that Hounslow is looking towards additional licensing in five wards, one of which is Feltham North. Please respond before 30 April. All HMOs must be of a good standard but beyond that Urban Areas need families and need to retain families. Do you live in Park Way, Cambria Court, Nursery Close, Fern Grove and in Hounslow Road (between Harlington Road and Feltham High Street)? If so, please note this consultation. From the time I was first selected as the Conservative Parliamentary Spokesman for Feltham & Heston in 2004, I have only ever asked Mr Keen for a reason why a second property (paid for by taxpayers) is needed to assist him in carrying out his role? He has never said anything other than (1) he has acted within the rules and (2) he said at his 2005 General Election declaration result that he would provide an explanation in the future. The latter has not happened. Reference is made in the article to “constituency home” but it is worth pointing out that this property is actually in Brentford & Isleworth and not Feltham & Heston. 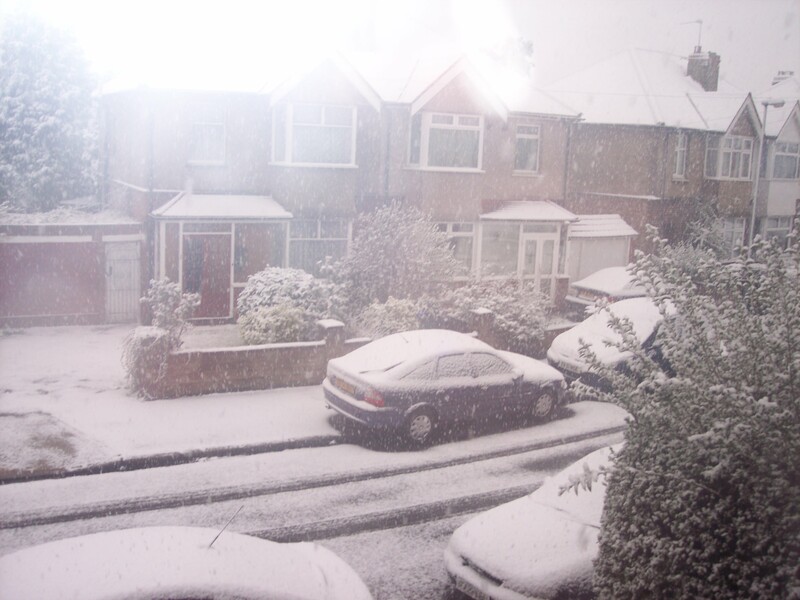 Snow on April 6, 2008!!!!! 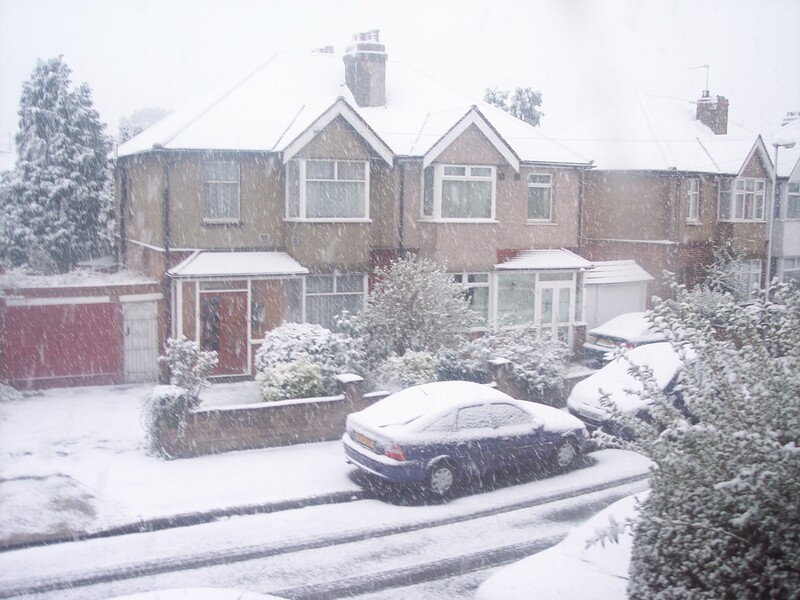 Posted in Uncategorized | Comments Off on Snow on April 6, 2008!!!!! Sorry for the lack of comment in the past few days. It has been a very busy week! Here are a couple of Council related highlights from me during the past week. On Tuesday night, I attened the Executive Meeting. I am a member of the Members Working Group which meets weekly to look at budget matters. We have recently spent lots of time on agenda item 12 so I was pleased at the decision made. On Thursday night, I attended the West Area Committee Planning Meeting. Items 5, 10 & 12 are about applications/enforcement in Feltham North. I moved refusal of the application in item 5 as I could not accept that there would not be a parking impact on residents who reside in Carlton Avenue. Earlier today, I delivered some leaflets.